Many nerds dream about the meeting of Paul F. Tompkins and “Weird Al” Yankovic. Well, now you can know just exactly how it happened! Spoiler alert: It’s hilarious! 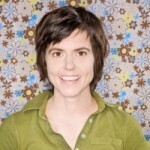 And I know we all heard about the mysterious pink-lining of Tig Notaro in Vancouver, so be sure to get the truth behind the rumors!